So many life defining moments: I have lived an incredibly full life – from family to business. After much reflection and whittling down, here are my top lessons learned, in chronological order. 1961 – Birth to CEO father and college educated mother in Germany. I am lucky. 1963 – Learned to keep the big picture in mind when a Boccia ball hit me on the nose while my head was too close to the ground. 1965 – Learned how to ski, swim, do gymnastics while growing up in the Alps. Discipline and consistent practice pays off. 1967 – Was bullied on the way to school. My two brothers had my back. We all need someone who has our back. 1968 – Had my first conversation with an American despite not understanding English. It turns out that the words Biene and Bee are very similar. Learned communication happens with words and gestures and that people from far away places have more in common than one might think. 1970 – Walked to school every day. Discovery knows no end when you are out in the world. 1971 – Learned how to play tennis. It is much harder to focus than one might think. Without actually looking at the ball you can’t hit it. 1972 – Studied English and Latin, later also French. Understanding different languages broadens my horizon and gives me perspective. 1972 – Strung my first tennis racket. In order to have a good quality result you need to take care weaving the gut. 1976 – Participated in a US-German student exchange. My first Whopper. My first ride on a yellow school bus. My first encounter with a library drop off box. And actually speaking English rather than studying grammar. 1977 – Was disenchanted with school. Had to repeat an entire year. The first day in the new class was the hardest ever. My first encounter with resilience. 1981 – Graduated from high school, barely passing my English final. Once the goal is reached no one will ask how much you struggled to get there. 1981 – Sailed from Copenhagen to Stockholm. Found out while on board that I had been accepted to attend the University of Southern California (USC). No need to sit around. Life happens while having fun. And, the unthinkable can happen. 1981 – Left home to study in Los Angeles. A huge leap! 1981 – Arrived in Los Angeles, despite the air controller strike. There is always a way to reach your destination. 1981 – Alone. For the first time ever. When others are alone also, it is easier to make friends. 1981 – Met my future husband. My mom was right. 1982 Flew in a hot air balloon. Amazing what you can hear from up there, if you really listen. 1983 – Worked for a book publisher and a public relations firm. Navigating boss employee relationships can be challenging. 1984 – Graduated from USC. College was a lot more fun than school. I learned what I am interested in. Not calculus. 1984 – Traveled around the world flying westwards. Asia. Europe. America. The world is my oyster. 1984 – Got married. Love overcomes all other hurdles and a precious life defining moment. 1984 – Moved to the desert. Understand now why air-conditioning was invented. 1984 – Attended Thunderbird. Studying international management opened my eyes to business and other cultures. A passion emerges. 1985 – Graduated from Thunderbird. Being a newlywed while getting a graduate degree is hard. Reaching a goal makes up for the late nights of studying. 1985 – Rafted the Grand Canyon. An experience of a lifetime. Adrenaline. Beauty. Star-filled skies. Friends. 1986 – Started working for Kodak in Germany selling copiers. Start with building a foundation first. Sales is great to learn how to overcome rejection. 1988 – Transferred to the US headquarters in NY. My first exposure to R&D and Engineering and US corporate life. Not enough time. Not enough money. 1989 – Moved to London to work in the European Headquarters. Arrived at my dream. International. Collaborative. Productive. Impactful. Loved it. 1990 – Traveled around the world flying only east. Much harder to deal with jet lag. Seize the moment, since HongKong is no longer British. 1990 – Launched the first Color Copier in Europe. Only few people knew that it was held together with duct tape. Fake it till you make it. 1990 – Spoke in front of 500 people. Great adrenaline rush mixed with sweaty palms. 1991 – Conducted dozens of management training sessions with groups from all over Europe. Learned that I prefer working with people rather than with products. 1992 – Traveled to South Africa, home country of my administrative assistant. Will never forget the way she pronounced ‘pleasure’ as a response to any of my requests. Getting insider info before traveling to new territories is invaluable. And South Africa is a beautiful country. Almost moved there. 1992 – Miscarriage. Loss. Life defining moments? 1993 – My mother got diagnosed with colon cancer. Hope is what goes last. 1993 – Welcomed our daughter Susie into the world. An unforgettable experience. 1993 – My mother died. She taught me so many valuable lessons. The cycle of life. Endings and Beginnings. 1994 – Built house in Bavaria. Remodeled twice before, but building from scratch is a lot harder. 1995 – Became a mother again. William the tall one. Being stubborn about meds is not always a good thing. Should have listened to the doctors. Just this once. 1996 – Discovered my husband’s secret. Secrets are debilitating. The truth is a hard pill to swallow. Denial is sticky. 2001 – Became an entrepreneur. My business? Making decisions. Learned that I can do what I love, make a living and be there for my kids. Bliss. 2002 – Became a CoachU and Professional Certified Coach. Does anyone care about credentials? 2002 – Hiked up Half Dome in Yosemite National Park. Learned that I can overcome my fear of heights. 2003 – Served on school board. Hardest leadership position I have ever had. If you want to change culture start with leadership behavior. 2004 – Walked a marathon. The last six miles are brutal. Toenails do regrow. 2004 – Divorced. Bittersweet ending of a chapter. And the beginning of a new one. Trust can be rebuilt. 2005 – Built my dream house in California. Shaped like a barn, sitting in the prairie. There is no place like home. 2006 – Partnered with coaching organizations from around the world to help leaders and their teams. Every partnership is like a marriage. 2008 – Helped navigate people through significant hardships as the economy tanked. What goes up does come down eventually. 2009 – Served on MMS board. Respect and trust go a long way to making a board experience impactful and meaningful. 2010 – Formed Trayas, Inc. my first international corporation. Distractions are everywhere. 2012 – Ventured Catalina Island with financial services leadership team. Hiking. Kayaking. Zip-lining. All roads lead to the airport according to the team’s GPS. The client is always right, even when he is not. Next stop canyoneering. Who knew it could rain this much in Arizona? 2014 – Supported orphans at an Ashram in India. The contrasts of India taught me many things – above all else: humility. 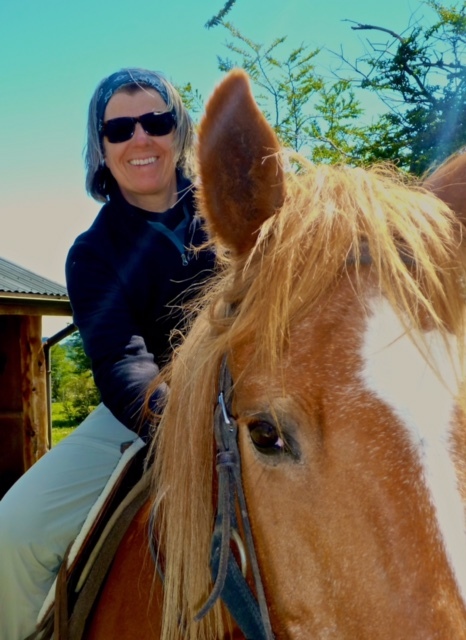 2014 – Traveled to Patagonia. Family matters most. Movement is healthy. Nature is beautiful. People solve big problems everywhere. 2014 – Empty-nester: It’s never too late for a new adventure. 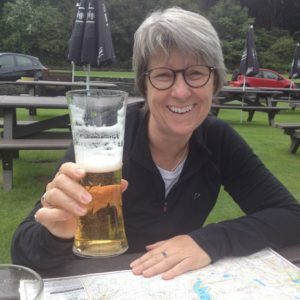 2016 – Hiked 200 miles on the Coast2Coast in the U.K. – I can do it! Are you sure you know where you are? 2017 – Supported my brother during his last eight weeks alive. What a gift! 2018 – Got Open Water Diving PADI certified. Boyency took on a whole new meaning! What are your life defining moments? Send me an email, it would be fun to compare notes. Want to learn more about my life defining moments can help you? The story a journalist uncovered about me. What clients are saying about me.